The average speed of a hockey puck flying across the ice in a NHL game is between 80-110 mph. What does it take to stop a projectile traveling at such a velocity? The answer is MORE speed. 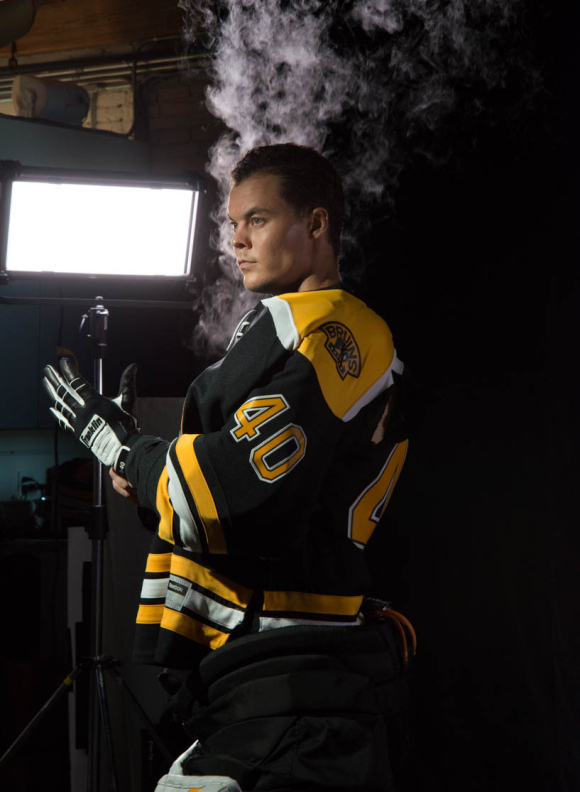 We found out just how that lighting reflex works when famed goalie Tuukka Rask from the Boston Bruins came to the studio for a video and photo shoot. 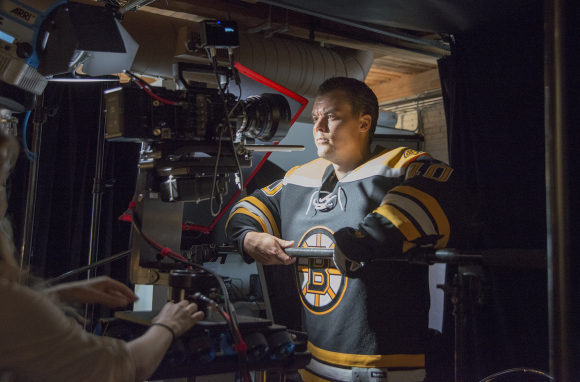 We had to get in close while filming the eyes that see what most people can’t. 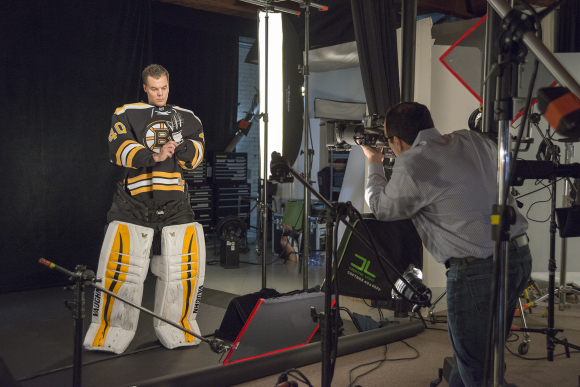 Michael preps a photograph of Tuukka adjusting his Franklin gloves. You have to be prepared before approaching a goal guarded by this stare! Nothing like a little smoke to add to the mood! 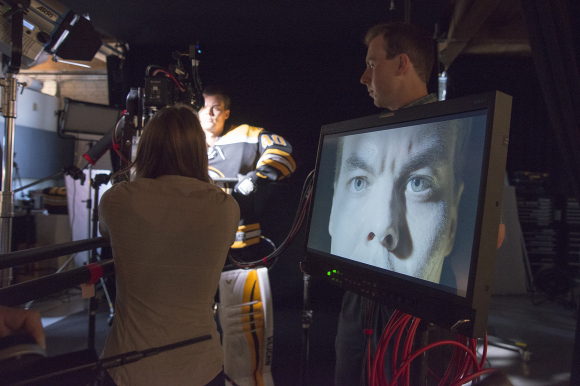 After the shoot, Tuukka got down low for some knee hockey with a few of his younger fans. He wrapped up the day with autographs for the kids who attended the shoot!